Hans Jørgen Jensen interviewed violist Michael Tree at the Young Artist Program in Ottawa, Canada on June 17, 2011. The interview will be published in three parts. Part I. Michael Tree talks about his early memories of violin study with his father Samuel Applebaum , his studies at the Curtis Institute, and his concepts about sound production on the viola. Part II. Michael Tree tells us how he became a violist, the start of the Guarneri Quartet, and some fascinating stories about the The Guarneri and Artur Rubinstein recording project. Part III. Michael Tree shares with us some of his concepts about practicing. Michael Tree was born in Newark, New Jersey, and received his first violin instruction from his father. He later studied at the Curtis Institute of Music with Efram Zimbalist, Lee Luboshutz and Veda Reynolds. In 1954, the New York Herald Tribune wrote, “A 20-year old American violinist, Michael Tree, stepped our upon Carnegie Hall stage last night and made probably the most brilliant young debut in the recent past…the violinist evidenced not one lapse from the highest possible musical and technical standards”. Subsequent to his debut, Mr. Tree has appeared as violin and viola soloist with the Philadelphia, Los Angeles, Baltimore, New Jersey and other major orchestras. 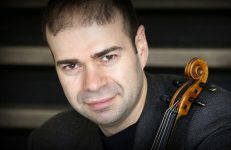 He has also participated in leading festivals, including Marlboro, Casals, Spoleto, Israel, Taos, Aspen and Santa Fe. Since 1964, as a founding member of the Guarneri String Quartet, Mr. Tree has played in major cities throughout the world. In 1983, Major Ed Koch presented the Quartet with the New York City Seal of Recognition, an honor awarded for the first time. 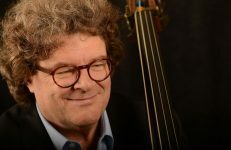 One of the most widely recorded musicians in America, Mr. Tree has recorded over 95 chamber music works, including 10 piano quartets and quintets with Artur Rubinstein, and 2 complete Beethoven Quartet bibles. These works appear on the Columbia, RCA, Sony, Philips, nonesuch, Arabesque and Vanguard labels. 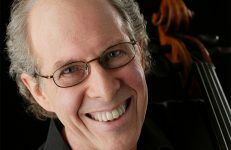 His television credits include repeated appearances on the Today Show and the first telecast of Chamber Music Live from Lincoln Center. Mr. Tree serves on the faculty of the Curtis Institute of Music, the Juilliard School, the Manhattan School of Music and the University of Maryland. 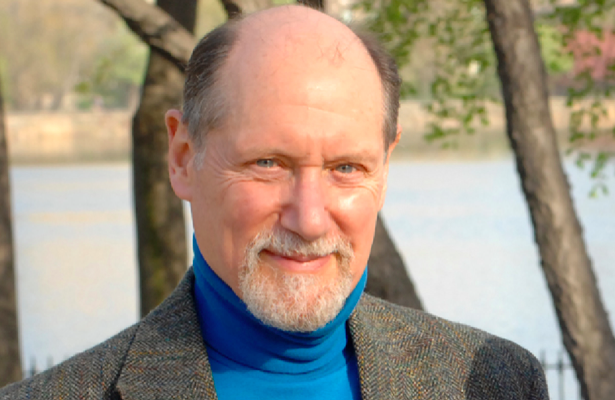 Michael Tree is also an editor at Ovation Press, having published works such as Schumann’s Fünf Stücke im Volkston. String Visions: Going back to your childhood, do you have any memories from when you first started out playing? How much was your father Samuel Alplebaum  involved in your early training? Michael Tree: Well, yes, very vividly. My father was a wonderful violinist in his time and took a number of lessons with Kneisel — Franz Kneisel, of course, who had a quartet of his own and was also a concertmaster for the Boston Symphony for a number of years, German-born, and who founded that very fine festival in Maine known as Kneisel Hall in Blue Hill. My father had a piano trio of his own in New Jersey, and they played professionally for a while. And then he began teaching at home, so I was kind of surrounded by the sounds of violin playing almost throughout the day. We lived in Newark, New Jersey, and he taught basically at home, and so whenever he had 5 or 10 minutes off, he’d call me into his room and would just listen to me play. I never had a formal lesson with him. Only in-between lessons or if somebody canceled. String Visions: But did you have a different teacher when you first started out? Michael Tree: No only my father until the age of 12. From 5 to 12. Seven years of being taught by one’s father can become a little bit testy. String Visions: I can imagine that. I myself grew up with musical parents. Michael Tree: It can very well become unhealthy. And luckily for me, a sometimes visitor to my home was none other than William Primrose. And Mr. Primrose, well, my father finally induced him to hear me play a few notes on the violin. I was around 11 at the time. And he was sufficiently impressed that he suggested that I try out for Curtis. String Visions: So you went to Curtis to audition when you were 12 years old? Michael Tree: Yes it was difficult to get into Curtis because the entire student body at that time was about 125 people, and that encompassed the entire range of instruments, even organ and conducting, for example. So you can imagine how few of us were allowed in, but I passed the initial audition, and went on to study with Lea Luboshutz, who was another Russian. Very, very colorful lady and a wonderful violinist. It was an older style of playing, and whether I was indirectly responsible or not, I don’t know, but she left the following year. She retired. String Visions: Do you seriously think you were partly responsible? Michael Tree: I don’t know. I hate to think that because I was so unaccustomed to being put in a room to play for someone, because as I said, with my father it was never regular lessons… I was often playing ball in the streets, because we lived on a very quiet residential street and I had some cronies with whom I played stickball. String Visions: But you didn’t bring the bat to the lessons, I’m sure. Michael Tree: No! But I also forgot that there was certain etiquette involved. Curtis at that time was very, very proper, and there was tea served. Michael Tree: Oh, yes, every Wednesday afternoon. And you had to come to school with tie and jacket, and it was almost a dress code, although it was unofficial. But we were expected to behave a certain way. And I would come in with my shirt out and what have you. I may not even have washed my face that morning. String Visions: Are you sure? String Visions: Is this really true? Michael Tree: Yes! Nobody told me anything about that sort of thing. Today, I mean, the kids come in to lessons in blue jeans and torn undershirts. I believe they tear them deliberately, just so that they can show off their tattoos. It’s a different world. String Visions: That’s true. It is a different world. Michael Tree: Well, at the Curtis, we had to learn the rules, and it didn’t take long. I finally understood that there was a certain ritual involved when you would play for your teacher. It’s a great honor, and you have to be on top of the situation at the moment, and you have to look a certain way. So that’s just the way. String Visions: What are some of you other memories from your days at Curtis? How many years were you there? Michael Tree: Because of the earliness of my entry into Curtis, I stayed for ten years. String Visions: That is very interesting. Michael Tree: I went directly from Madame Luboshutz to Mr. Zimbalist, and so nine of those ten years were spent with him. And that was quite an experience because he experimented one or two years with the idea of having every one of us, and he had something like eight or ten students come together on a Sunday afternoon, let’s say from 2-6, and he would teach us all in the presence of each other. String Visions: A great way to learn and to be inspired. Michael Tree: So, I got to hear great fiddle playing. People like Aaron Rosand, Norman Carol, Joseph Silverstein, and many others. It was a lesson just being in their presence. Joey was just two years older than I. He was all of 14, and I was almost 12 when I first arrived. String Visions: Did you study with other violinists in addition to Efrem Zimbalist and Madame Luboshutz? String Visions: Do you remember your first experience playing the viola? 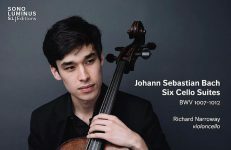 Michael Tree: Sascha Schneider, a bigger-than-life figure and a great spokesperson for chamber music donated a certain sum of money to the Curtis Institute with the understanding that every violinist be required to study the viola for a year with one of the viola teachers. We had a fine violist on the faculty, Max Aronoff who was the original violist of the Curtis Quartet, which in its day sounded damn good. They made some wonderful music. String Visions: What did you learn from Max? Michael Tree: He was wonderful. We talked a lot, and he told many, many jokes, and many stories. But the fact is that he was a wonderful trained violist himself and was able to impart very, very important, almost little secrets that violists know about that I had never even considered. String Visions: Like what kind of secrets? Michael Tree: Well, practical matters. Michael Tree: For one thing, we have to have much more of the hair on the bow on the string. We can’t afford to do what many violinists do, and that is sort of play with one-quarter of the hair all the time as if the bow were curved. We have to play with flat hair especially beyond the middle of the bow. String Visions: That sounds great! Michael Tree: Because it’s just a question of pulling the sound, of getting into the string — very, very different than violin playing. I always thought that playing the viola meant a big difference in fingerings, and of course, they have to have strings almost further apart. What I learned quickly was that the biggest departure from violin playing is in the right hand, in producing sound. So, to this day, I consciously watch over my right arm to see that I don’t just play at the very tip, even in pianissimo. String Visions: Why don’t you talk some more about your concepts of sound production on the viola? Michael Tree: Well, it’s just that we don’t want to sound ever like a big violin. The viola plays a unique role in quartet life, and I feel that I am more akin, more drawn toward the cello sound and that lower sound quality. We can’t afford to just play glassy smooth all the time we need putting real power into the string. Because the last thing any string quartet needs is to have a viola that sounds more like a violin, and because many quartets I’ve heard, even fine quartets, even some professional quartets, suffer from a top heaviness. There are just too much high tones. The violist, to my way of thinking, should always play louder than his colleagues want him to. String Visions: Really? I like that! Michael Tree: Well, the reasoning behind that is that, of course, you’re playing way into the ears of your colleagues. What they hear has nothing to do with what the listener hears. For 45 years, I’ve played like that. Now when I play at various festivals or even individual concerts with other quartets or whatever, I ask to sit in the middle of the quartet so that the F holes face out in the hall. String Visions: Oh, that’s nice. Michael Tree: And I’m told, even from listeners, what a huge difference that makes. I remember once as a very young quartet player when we were less than a year or two old, from way back into the ‘60s, that Boris Kroyt of the Budapest Quartet, who was a very, very staunch friend and to whom we owed a great deal of thanks and gratitude, played a Brahms viola quintet with us in New York. All the rehearsals were fine and every thing normal. But suddenly in the concert, I sat opposite the first violin in the normal so-called position, normal to most American quartets that is, and Boris playing the second viola sat to my right. Suddenly, when he had two notes to play that were meaningful enough to be heard he turned to me and had the scroll of his instrument right in my face! String Visions: That’s like having somebody push you when shooting a free throw! Michael Tree: Yes and I almost fell off my chair because I was unprepared for that. String Visions: You were shocked. Michael Tree: Yes I was shocked. I almost dropped the viola. String Visions: That’s funny. He was used to sitting on the outside, so perhaps he forgot that you were there. String Visions: So are you’re saying he did this as a joke? Michael Tree: It could be. But it taught me a lesson in a hurry that I never forgot, and that is that even if you do sit in the traditional position, facing the first violin, the chair and the stand should be a little, not parallel but rather diagonally, placed so that at least part of the time you’re better heard, and at moments that are crucial, you can easily turn out towards the hall. These are just realities that we come to appreciate after many years of performing. String Visions: This all sounds absolutely fascinating. Do you remember any funny incidents that happened to you while touring with the Guarneri Quartet? There is often a situation when a member of a chamber ensemble forgets their music or something like that. Michael Tree: Oh, my God! Yeah. That happened to me in London. I think somebody actually swiped my music because I left it on the stand and nobody at the hall was able to turn it up. And in those days, replacing music wasn’t as easy as today. String Visions: Yes, please tell us about that? Michael Tree: But that’s not such a funny experience…but anyhow I remember it was desperate, I had to call New York, our manager from New York called Washington, and from the Library of Congress they were able to Xerox the parts and I had the parts within a day or two. Well, I actually do have some wonderful stories about David Sawyer, because he was very outspoken. String Visions: Yes we would love to hear about that. Michael Tree: Once, I do remember somewhere in the Midwest, we had to play an encore after a concert, and normally we would have the presence of mind to decide before a concert began, if we needed an encore and what it would be. So we carried a Mendelssohn quartet with us, the middle two movements. Both served as beautiful, short encore pieces. They were the perfect length. One of them was a beautiful andante with a lovely theme, and the other was a brilliant but treacherously difficult scherzo movement. A million notes, as Mendelssohn loved to do. So, this one time, we had forgotten to decide, we were in the middle of a tour, and we were probably all a little tired. I personally didn’t want to play the fast movement because I realized that once the concert was over, we tended to sound a little bit under par, you might say. Because we were simply tired, and psychologically somehow, the encores took on less importance. I mean, I hate to admit to such a thing, but it’s just true that after almost two hours of playing, you feel sometimes not like playing beyond. And certainly nothing where precision is required. String Visions: I can understand that, but somehow I never imagined you would feel anything like that. Michael Tree: Yes and actual technical assurance also played a major role. But there we sat down to play and we didn’t know which of the two pieces to play, so we whispered, “No, no, andante. No, no…” Dave wanted to play the Scherzo because he wanted to get the hell out of there and it was short. String Visions: That’s very funny. Michael Tree: So, what we didn’t realize is that our voices began to rise as we became more and more emphatic, and more and more argumentative. And what we didn’t realize was that the audiences were listening to our conversation. String Visions: This is such a great story! Michael Tree: And suddenly from the audience, a voice yelled, “Andante!” And Dave turned around towards the person speaking and said very loud, “You stay out of this!” He went right at this guy. Michael Tree: Yes and so you can imagine the hall turning into laughter 500 to 600 or 700 or 800 people all laughing at this incident. And we were all laughing while we played. That’s got to be one of the funniest memories I’ve ever experienced. 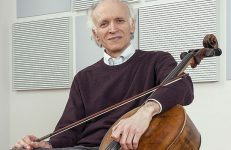 Our interview with Michael Tree continues in part II where he talks more about how he became a violist and some of his major projects such as the Guarneri Quartet. Samuel Applebaum wrote the books The Way They Play. You can increase the advertisement of your business by this platform. dedicated to your social media marketing strategy.